Since I didn’t use any new recipes for this cake, I thought I would talk about how I tackle shaped cakes. I’ve realized it’s easy to make a cake shaped like pretty much anything as long as it’s 2D. This makes for endless possibilities and people are always impressed. 1. Make a template. I find an image on Google of the shape I want. Pick a simple image with an obvious outline and not too much embellishment. Use Word to adjust the shape of the image, and print it out in the proper size. All of my shaped cakes so far have been baked in a 9×13 pan, so I sometimes need to split the image in half and print them out separately to get the right size. Below is the image I used for this cello cake. After printing, use a sharpie to outline the important parts of the stencil. You may need more than one copy of the printout – I outlined the body of the cello, the fingerboard, the tailpiece, and the bridge. Cut them all out and you’ve got perfect templates. 2. Cut the cake. I triple-wrap my cakes in plastic wrap once they’ve cooled and then freeze them for 30 minutes or so, until they’re hard. Then I level the cakes if necessary with a serrated knife or my cake leveler. Place the template on top of the cake(s) and carefully cut around. I’ve never tried using an electric knife, but that might work well? 3. Assemble and decorate. Frost and fill as you would any cake. Make any other components -for example, I baked cookies in the shape of the tailpiece, fingerboard, and bridge, using the templates I’d cut out. I like to cover just the top of the cake with a very thin layer of fondant, using the template again. Then just follow your imagination and pipe frosting, gel, or use sprinkles/etc to decorate. Tell me if any of you have tried making a shaped cake… What did you make, and how did you do it? Entry filed under: Cake/Cupcakes. Tags: buttercream, cake, chocolate, fun celebration cakes, layer cake, meringue. Tehe. I was so thrilled when I saw that you had made a cello cake!! I am also a cellist, though I highly doubt I am anywhere near to being as good as your friend, and cellos just don’t seem to get alot of attention. There is a whole lot of violin stuff, but hardly anything for cellos. So thanks. Wow! I’ve seen a a pictures of your cake on Google, (it’s amazing), but I can’t see any of your pictures on your website! I don’t know what’s wrong, but both our computers don’t show the pictures. Sorry, I just wanted to add that I can see pictures on only some of your posts, like the Cold War Brownies post. I researched ImageShack, and apparently the site is blacklisted. (We live in a university, we can’t access some sites). On my site I use Picasa, and I think that works very well! I’m thinking of making your cake for my younger sister on her birthday. I’ll let you know how it goes if I make it! I’m sorry for writing so many comments, but I was wondering how thick each of your cake’s layers came out. I made a cake very similar to your go-to white cake, and baked them in a 9×13 pan. They are coming out pretty thin, about an 1/8 of an inch each. Were yours this thin? Bittersweetbaker – Leave all the comments you like! :) My cake layers were definitely not that thin. I’d estimate each layer was around an inch thick. 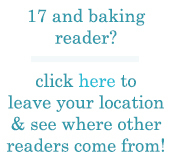 Maybe you didn’t use enough batter? The recipe I used normally makes two reasonably tall 9″ round cakes, which I combined into one 9″x13″ cake. This is amazing… what did you use to make the bridge? Nette – Thanks! I used chocolate shortbread cookies for the tailpiece and fingerboard and used vanilla shortbread for the bridge. My sister’s birthday party is on Saturday, and I decided that I’m going to try and make your cake. I was reading over the post again, and in the last paragraph, you said that you like to cover the cake with a thin layer of fondant, then pipe frosting, gel, or add sprinkles. Did you frost the buttercream before putting on the fondant? If you did, do you think it would work without the buttercream? Adriana – Oh, yes, you need some sort of binder to keep the fondant stuck to the cake, so I’d frost the cake with buttercream before using the fondant. Or you could skip the buttercream and just use a layer of jam, but since I don’t like the way fondant tastes, I like to use buttercream. As for the shortbread cookie recipe, I used this one: http://www.bakingobsession.com/2008/10/21/checkerboard-cookies/ Hope it works out! Tell me/show me how the cake looks! Sorry, just one more thing: you mentioned that you used chocolate shortbread cookies for the cello neck. Do you have the recipe for them? They look very dark, and I haven’t found a good recipe yet. Thanks again! Elissa, thank you so much! You have no idea how much I appreciate your help. After about 9 hours of working on the cake, I’m finally finished. It looks nothing like yours; it’s nowhere near as professional looking. 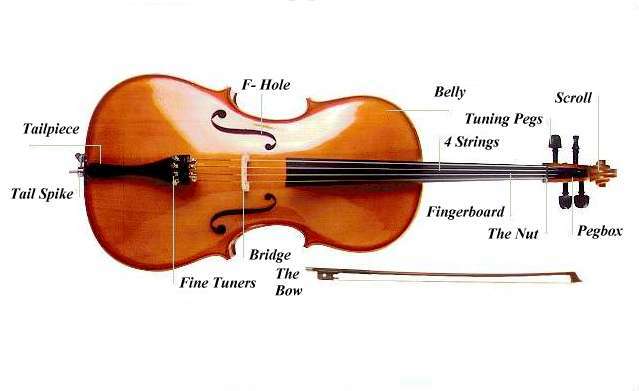 But it’s clear that it’s a violin. Or cello. I ended up not using fondant, because I couldn’t afford messing up. I used a ganache instead. My sister’s party is in a couple of hours, so I’ll tell you how it goes later. I’m also going to post it on my blog, so I’ll give you the link as well. That was a good idea and I might try it at home. It tastes good and simply amazing. How about guitars? Is it possible to bake a guitar cake? this looks sooo good. you are inspiration! i play the violin and the viola and i love baking. i hope to bake something like that for myself one day! Wow this is insanely amazing! It’s very unique. It’s good for someone who loves violin and into music. Cakes come into different designs but its also necessary the taste. It should be something delicious. Oh my gods, that’s amazing!! Hi Elissa! I have just found your blog through honey & jam I am astonished that you, just 17, can make such gorgeous recipes like all the ones I have seen by now! But as soon as I saw this cello, I had to make a stop and congratulate you for such work of art. I will follow your cooking activity from now. Cheers from Spain, a far away country from the States! that cake is sssoooo awesome too bad i cant make it even tthough it would be awesome if i could make mostly because i play the cello !!!!!!!!!!!!!!!!!!!!!!!!!!!!!! Hi my loved one! I want to say that this post is amazing, nice written and include approximately all important infos. I’d like to look extra posts like this . OMG, What a beautiful Cello Cake. You’re so talented !!! It looks so life like and delicious. My ten year old plays the cello and next week is her concert. I wish I could make this for her. too much about its financial aspect. Also consider how well the package can interact with other software you use. velocity is incredible. It seems that you are doing any unique trick. This cake is really amazing! I’ve been playing the cello for over 13 years and it never came to my mind that it was actually possible to transform this passion into a cake! =) Thanks for being so inspiring! hand whenever you experience excessive shedding, breakage and lost moisture. assets to be listed for your business. There are many accounting software available these days. information on current issues that may affect their business operations. paste of gram (Cicer arietinum) flour in raw milk. get to clean the black soot off of the floors. plan For more information on dieting and health visit HCGBlue – Bottle. not approve of them. The most popular influence of technology on health is weight loss. HI. I love your cake and was wondering if you used two 9 by 13 cakes for this? Hi, I know it’s a long time since you’ve posted, however I’m hoping you still see this! The picture on this cello cake block no longer seem to come up. Are you able to repost them or email them to me?